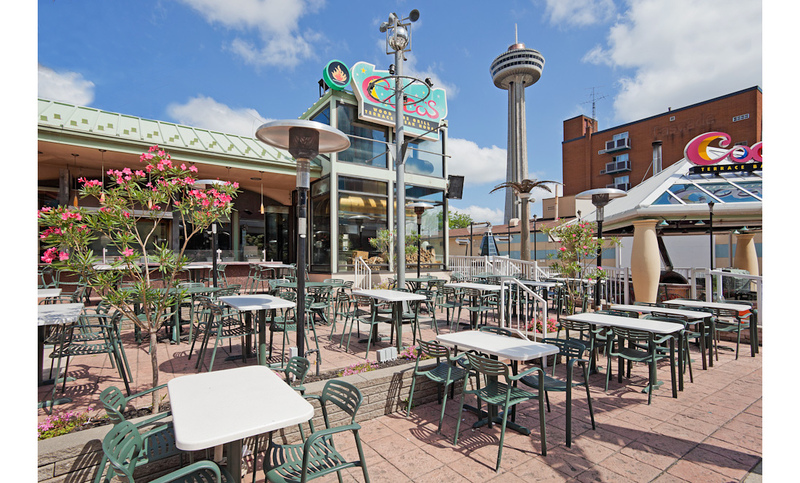 When you combine a patio bar, live entertainment and drinks that bring the party to life, Coco’s Terrace Steakhouse in Niagara Falls is the hotspot for all your social gatherings. We have an extensive drink menu that combines the popular brand names that you know and love with a selection of famous wines made right at the many quality wineries in Niagara. The Niagara-On-The-Lake region was voted the #1 food and wine destination in Canada by Tripadvisor for good reason; from each uniquely crafted wine comes a one of a kind exquisite taste only found here in our own backyard. When paired with the delicious dinner menu at Coco’s Bar & Grill Patio, our customers get to fully immerse themselves in a gourmet experience like no other. The versatility that we offer means that we have something for everyone to love. Whether it be finicky children or experienced foodies looking for an unforgettable culinary adventure, our Coco’s Terrace Steakhouse delivers. With our professional staff always eager to put on a show for our customers, you can enjoy your unique pizza being made right before your eyes from start to finish using our famous wood-fired brick oven! There’s no better place to enjoy amazing company and the best weather of the year! Day and night, you’ll have a delicious meal, great drinks and amazing entertainment.